Tell me more. A classic photo by Buby Durini portrays Beuys in an overcoat from the back, gazing out at the Abruzzi mountains. The pose recalls figures by Caspar David Friedrich, the great exponent of German romanticism. 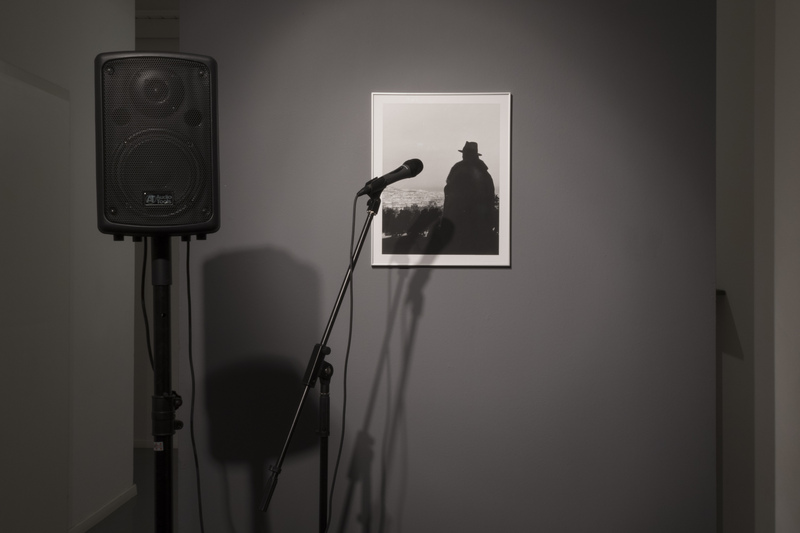 A microphone points towards him while an actor’s voice describes and interprets the exhibition itinerary Hannes Egger, Walking in Beuys Woods, after a vision by curator Antonella Paladine. On the side wall Beuys reappears speaking to a group of people at the Kassel Documenta VI.